Ocean Grove Connected Communities (OGCC) has injected almost half a million into the local community since it began in 2008. The board recently presented its latest round of community grants, with four projects sharing in $14,150. 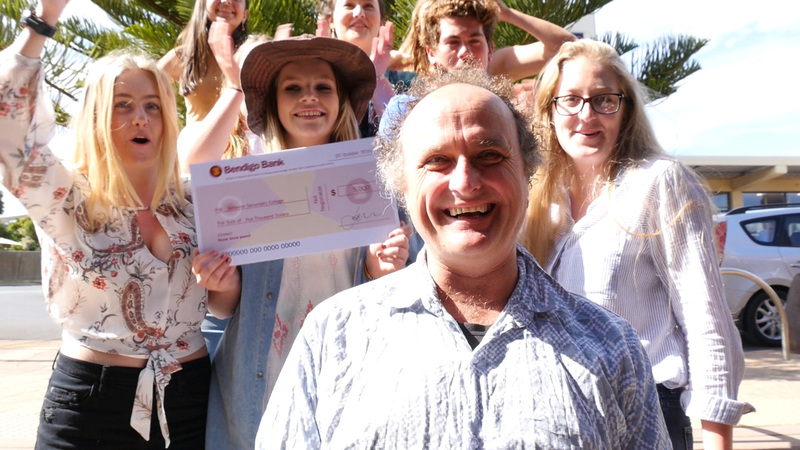 Speaking at the grant presentation at Maggie’s Bar in Ocean Grove on Sunday 21st November, chairman Jon Mamonski announced that the total contribution was now close to $500,000. The funding has helped local schools, clubs, kinders and community groups to implement new projects and meet fundraising goals. 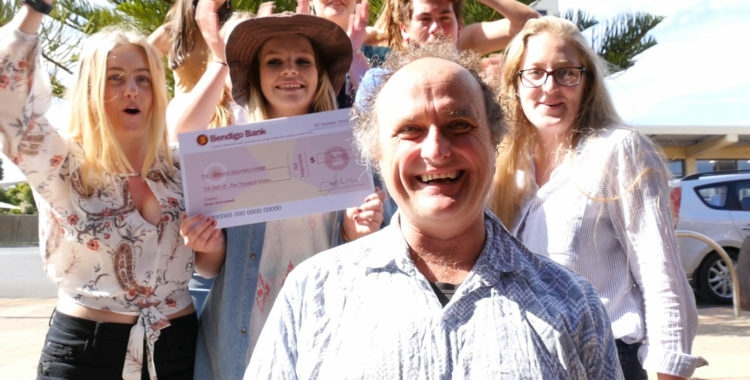 Bellarine Secondary College will be taking a group of 22 music students to Los Angeles in April 2017 with the help of a $5000 OGCC grant. The students will participate in a Music Immersion Program at the Los Angeles College of Music and will also have opportunities to perform and meet with Australian artists in LA to learn more about the international nature of the music business. Ocean Grove Business Association received $4500 towards the cost of establishing an information caravan. The portable van will be parked in Ocean Grove permanently over summer as well as taken to community events throughout the year including markets, surf carnivals and festivals. The van will be staffed by volunteers through Geelong and Bellarine Tourism. Bellarine Catchment Network received $2500 to produce a booklet highlighting Ocean Grove’s natural environment. The booklet will assist readers to identify and interpret the indigenous flora along with providing information on fauna, cultural heritage values and geography of the town and natural areas. Ocean Grove Pre-school received $2150 for a climbing net, one of the final elements in its new outdoor play space. The outdoor area at the school has been given a major overhaul this year to reflect the increasing importance of active outdoor play.